HBO has canceled the drama series “Vinyl” after it had been renewed for a second season in February. The TV show created by Mick Jagger and Martin Scorsese reached an audience of 1.1 million people on its debut, although numbers decreased during the following episodes. The show that recreates the New York music scene of the 1970s obtained an 8.0 rating on iMDB after its rehearsal. However, executive producer Terence Winter left the team in early April, when audiences fell to nearly half a million. Shortly after Mr. Winter’s resignation, the TV network hired Scott Z. Burns in the hopes that he could bring new energy to the show. HBO’s catalog of drama series has been reformed over the last months. Analysts suggest that “True Detective” won’t return for a third season. “Obviously, this was not an easy decision. We have enormous respect for the creative team and cast for their hard work and passion on this project,” HBO said in a statement, according to the New York Times. Olivia Wilde, who played as Devon Finestra on Vinyl, thanked everyone on Twitter “for their kind words” about the TV show. Cast stars Bobby Cannavale and Ray Romano have not made any comments since the show’s ending was announced on Wednesday. HBO’s expensive drama Westworld is scheduled to premiere in October 2016. Jonathan Nolan creates the science fiction series and Michael Crichton directs it. The story is based on a film of the same name, which appeared in movie theaters in 1973. The division of Time Warner is not recognized for canceling series because of low ratings. HBO usually orders a second season of most shows shortly after they appear on TV for the first time. It seems that production costs of Vinyl were too elevated. 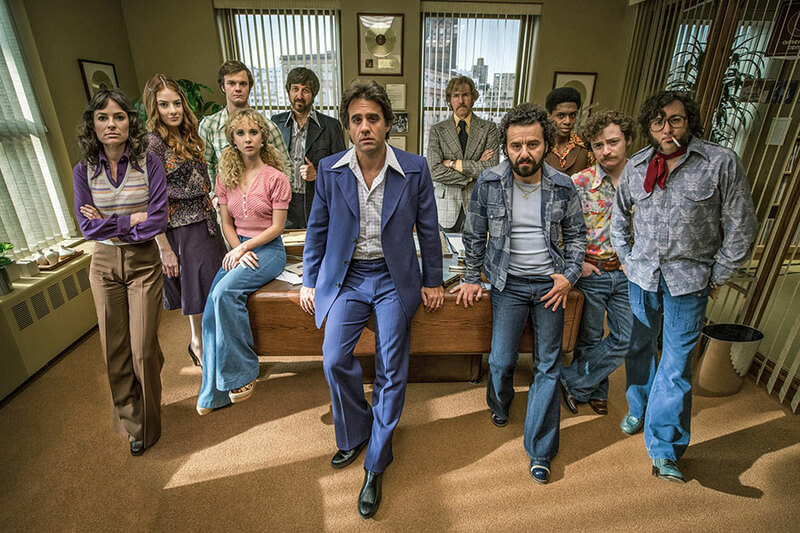 According to The Hollywood Reporter, HBO invested $100 million in the first season of Vinyl. Having stars like Bobby Cannavale and Olivia Wilde may be expensive. However, a significant part of the budget was spent on music rights. Actors whose characters have survived six seasons without being killed signed new contracts with HBO recently. According to The Hollywood Reporter, the main cast will receive $500,000 per episode of season seven. Game of Thrones was renewed for a season seven in April. Peter Dinklage (Tyrion Lannister), Kit Harington (Jon Snow), Lena Headey (Cersei Lannister), Emilia Clarke (Daenerys Targaryen) and Nikolaj Coster-Waldau (Jaime Lannister) are part of the $500,000 per episode group. The series based on George R.R. Martin’s saga “A Song of Ice and Fire,” is the HBO’s longest-running show. Game of Thrones is also the series that has reached more audiences since the network started.